From laboratory testing to regulatory compliance and beyond, advance the value and marketability of your products with testing and certification services. 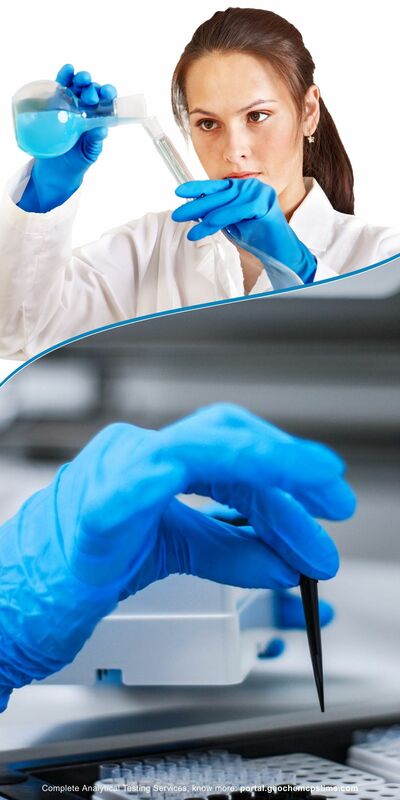 Analytical testing services are performed by qualified & trained chemists, scientists, technician and laboratory management with excellent industry knowledge and expertise. Analytical testing services are provided for a wide range of material/ samples to various customers for different markets and industries. With the state of art of analytical laboratory, Geo-Chem caters analytical testing services to various global customer for their regulatory & compliance need. Geo-Chem scientists and technical staff provide solution oriented critical laboratory support for trouble-shooting to customers to run their business & meet quality goal and global acceptability of their products.